Strange Attractors are the perfect storm born out of chaos. Where randomness comes together to create order. Play with the sliders and wait for the 20 Million points to render. Not all settings will render an image. This phenomena is virtually unpredictable so it's all trial and error. Trackbars can be fine tuned with arrow keys. Version 1.0.6 Instant color variations!!!! Version 1.0.5 2 more chaos algorithms, Transparency Mode added. Some images below merge 2 layers using the Screen Blending Mode. Trigonometric and exponential functions are randomly set in motion to recursively change the location of a point. The point is free to wander a 2 dimensional plane as the progam captures a time-lapse image of the process. Sometimes the results are unuseable but sometimes beautiful patterns start appearing. 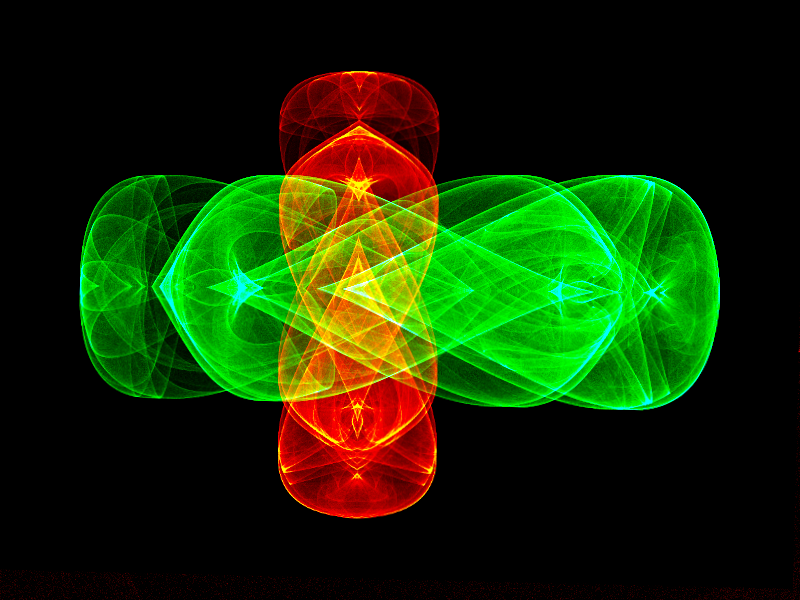 These are the Strange Attractors. I'd love a randomize button as playing with the sliders is quite hit and miss. Brilliant idea to include the color schemes! Any chance we can add our own? Thanks TR - this is great! (reminds me a little of 'Chaoscope' but more Pdn user friendly). I greatly admire your programming skills in translating this into a useful Pdn plugin. Thanks Ego , I started out with randomized buttons but the odds of accidentally hitting a combination that creates an attractor wasn't very good. That doesn't mean I won't add that button, maybe I should with a caveat. So far this was constructed in Code-Lab in order to have random buttons I have to migrate to VS, which is OK since I was going to do that to add keywords and a preview image anyways. Color Pickers are completely do-able and a good Idea. Thanks Red, I just checked out Chaoscope(thanks again), I'll have to add more chaos algorithms in the future. Another amazing Plugin thank you . It always feels like Christmas when I get to try out a new one . Herewith my try with a little Mirror to get a shape. Great plugin TR. I was just wondering though, would you say there is a minimum recommended spec for PC`s using this? Like having dedicated graphics and a decent CPU. I only ask because my laptop has an i7 chip but only integrated graphics and while I do occasionally get some different results moving the sliders for the most part I just get a black screen. I know you said it does not render every time and it is trial and error but I just get the feeling that my graphics can`t cope. There is no point in having a plugin that won`t work ( not a criticism of yours you understand, only of my feeble laptop). I only ask because my laptop has an i7 chip but only integrated graphics and while I do occasionally get some different results moving the sliders for the most part I just get a black screen. I know you said it does not render every time and it is trial and error but I just get the feeling that my graphics can`t cope. I don't think it's your processor. The strange attractors are are a subset of a chaotic number set that find their own niche and are unpredictable. In order to actually see a result the code goes through 20 million iterations - even then there might not be enough repetition to reveal a pattern (if any exist). Sometimes moving a slider 1 or 2 notches is enough to cause a pattern to appear or disappear. When they do appear , it's amazing, when they don't you move on. I do have an idea on how to speed up the process look for an update in the future. I was just wondering though, would you say there is a minimum recommended spec for PC`s using this? Like having dedicated graphics and a decent CPU. .No, I don't think it's your processor. 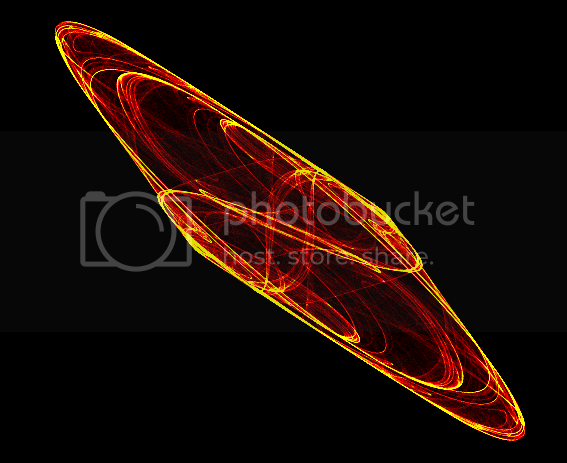 Strange attractors are a subset of a set of chaotic numbers. It takes 20 million iterations to see a pattern (if one actually exists) Some patterns may take millions more iterations(than exists in the plugin) to appear and some settings will yield no pattern. Just a 1 or 2 notch adjustment can create or destroy a pattern. I do have a plan to accelerate the plugin and add more iterations - keep a lookout for the next version of this plugin. OK thanks TR, I`ll keep a lookout for the update. Agree with Red on all counts. Thanks so much TR! stop looking. I added a progess bar - it helps a lot. Interesting plugin TR. Thank you. Barbie thank you , I appreciate your kind words. Thanks for the button! Very happy. Updated to latest version. Works great! The Randomize button is a great addition. Thanks TR. Good work. Have a beer - I`m sure you need it! Transparency Mode added for layering. Love the latest version with the transparency. 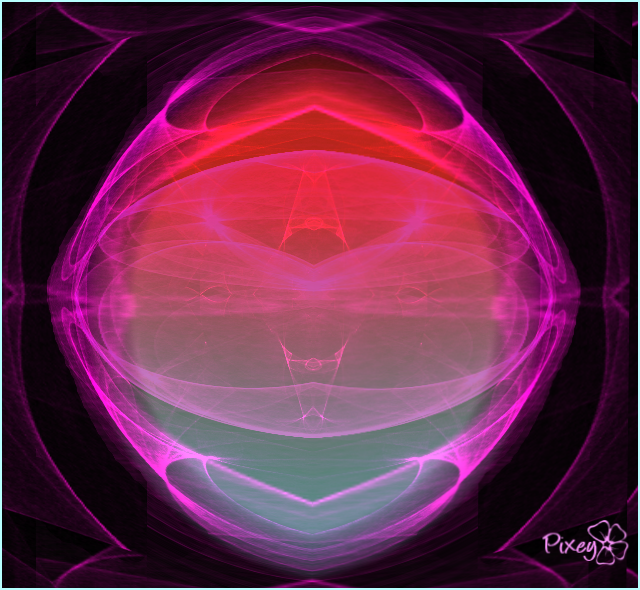 Many thanks for the update and another doodle that looks pretty much like a Fractal. Cool Image Pixey, very organic! To all programmers -the source code is now available. Sorry for posting so soon but this is a Major Change!!!! 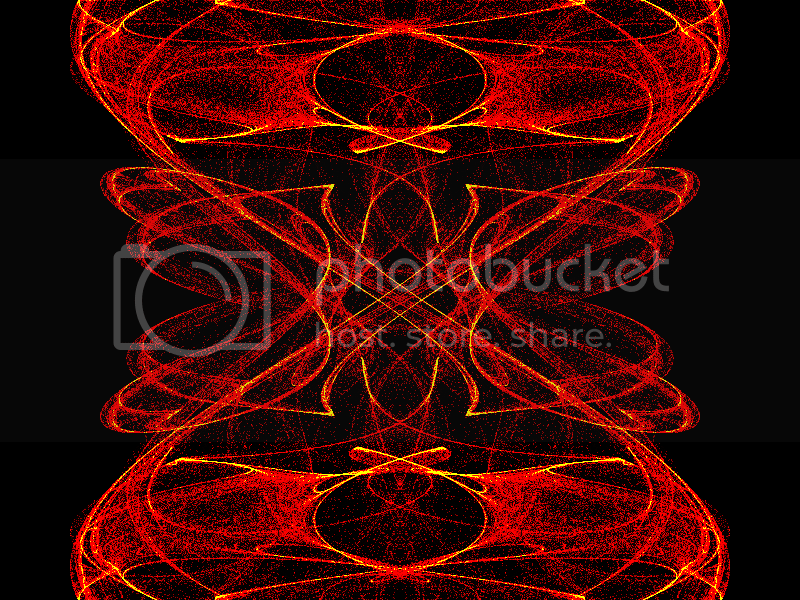 All those images are created by the plugin with out human interaction. Basically, It's a fractal generator that works on Choas Theory. The results can be used as a background , overlay or picture element (Layer Blend mode "Screen" works best). The best thing is to press Randomize. let it render, when it creates a pleasing effect tweek a little with the sliders. Every slider adjustment causes a recalculation. Colors can be tweaked in version 1.0.6 with out having a recalculation occur. Sometimes the settings will not create an image , but that's Chaos for you, not very reliable. Just randomize again. I haven't gotten around to making a video, thats my next step. So again, do I need to draw something or use an image before I open the plugin ?